The conference is brought to you by The San Antonio Public-Private Cyber Community and the Federal Business Council (FBC) in conjunction with leaders from federal and local government agencies, industry and academia. Additional sessions will be provided by NIST addressing the National Initiative for Cybersecurity Education (NICE), including an interactive session on the National Cybersecurity Center of Excellence (NCCoE) Use-Case Development and Progress. The IT Summer Intensive Program is a boot camp style immersion in an Information Technology subject area culminating in the opportunity to sit for the appropriate certification exam. SoHacks is a 24 hour coding marathon engineered to help you learn how to code. Make your app, website, or machine a reality with the help of experienced mentors, structured classes, and like-minded peers. 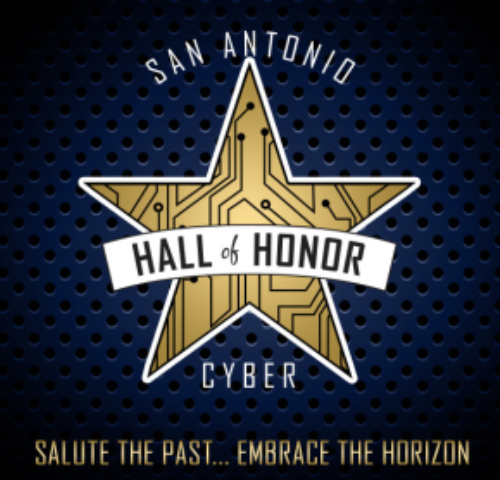 The CyberPatriot season is upon us and we are thrilled to announce the news of our 2017 San Antonio Mayor’s Cyber Cup Awards Luncheon! Once again, the CyberTexas Foundation (501c), the San Antonio CyberPatriot Center of Excellence and partners across the San Antonio-area (including the San Antonio Chamber of Commerce, Cybersecurity San Antonio, SA TecoSystem, Tech Bloc, Alamo Air Force Association, Alamo AFCEA and Alamo ISSA) will help recognize our San Antonio-area high school and middle school CyberPatriot teams at the 2017 San Antonio Mayor’s Cyber Cup Awards Luncheon on Saturday March 25, 2017. Each year, we leverage the Air Force Association's youth STEM education program and cyber defense competition, CyberPatriot (http://www.uscyberpatriot.org), to select the best local area teams and recognize them in an awards luncheon, before they go on to the National Championship. Last year 198 local area teams participated. Our top two teams, the Alamo Academies ITSA and Holmes High School AF JROTC, went on to compete admirably in the National Championship. For the second consecutive year, the San Antonio-area has the distinction of having the most teams registered in the nation with 258 teams. Among them, a record 71 middle school teams. This year once again, two San Antonio teams will advance to the National Championship!!! The Alamo Academies Information Technology and Security Academy and Holmes High School Air Force JROTC – will once again, represent San Antonio at the National Championship in Baltimore, MD on April 14-15, 2017 -- return visits for both!!!! The awards luncheon is scheduled for Saturday, March 25th, 2017, 11:30AM, at Freeman Exposition Hall #2, 3201 E. Houston Street, San Antonio, TX 78219. Based on previous years, we expect almost 1,000 attendees. Once again, the event will be hosted by Mayor Taylor and BGen Butikofer, the 24th Air Force Vice Commander, will serve as our guest speaker. We will lead off the day with our annual College and Recruiting Fair beginning at 10:00 AM, followed by lunch at 11:30AM. Sponsors include…….Digital Defense Inc., Booz Allen Hamilton, Alamo AFCEA, USAA, Rackspace, SecureLogix, Noblis-NSP, Federal Business Council, IP Secure, General Dynamics IT, Delta-Risk, City of San Antonio, University Health System, Southwest Research Institute, CYFOR Technologies, Frost Bank, CPS Energy, Port San Antonio, LMI, Monster Government Solutions, Accenture, Broadway Bank, Alamo AFA, Alamo ISSA, Diligent, Bank of America, Our Lady of the Lake University, Hallmark University, DataBridge/Forcepoint, Ingalls Technology, Endgame, CSRA, Symantec and FireEye. Glad to answer questions and/or refer you to others. Reserve your spot today – www.satechtrek.splashthat.com - for the Inaugural SA Tech Trek, hosted by Tech Bloc, Geekdom and the San Antonio Chamber of Commerce, an official event of Fiesta 2017. The event, similar to a pub crawl but with attendees visiting tech companies and startups in the downtown Tech District, will add a very different type of event to the Fiesta schedule and create greater awareness about the growing tech ecosystem in downtown San Antonio. What is a Tech Trek, you ask? Fiesta is San Antonio’s longest and largest “party with a purpose” and what better time to introduce you to the growing startups, technologies, and tech companies that call San Antonio’s downtown Tech district home, than with a Trek along Houston St. Attendees can start at the Rand Building and meet startups, accelerators and Geekdom members or can begin at the Vogue Building where they’ll be able to check out Codeup, Grok Interactive, Easy Expunctions and others! There’s no schedule for the evening, just get trekking around 5 p.m. and meet as many tech companies as you can. The Big Bang party begins around 7 p.m. at the Last Word on Houston St. Stop by to grab a drink, and grab the inaugural Tech Trek Fiesta Medal and T-Shirt. Time – 5- 8 p.m.
Big Bang Party at the Last Word beginning at 7 p.m.
Visit satechtrek.splashthat.com to sign up today! Youth Code Jam runs San Antonio’s largest youth coding event...but we can’t do it without YOU! Volunteers make up 99.9% of the Youth Code Jam workforce! They are the heart and soul of the organization. Join our corporate volunteer team and meet up with other programmers from H-E-B, Labatt Food Service, SSFCU, Delta Risk, Valero, Rackspace and more! 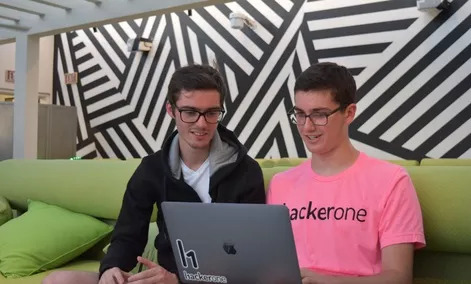 Our mentors have technical expertise and are interested in helping to build up the skills of today’s young students and inspire them to be life-long learners of computer science. They show up for a few hours, share their knowledge, get an awesome t-shirt and have tons of fun! There’s no typical classroom style interaction at our community events. Our volunteers are there to answer questions as students work independently alongside parents. This is our largest event. We can host up to 700 students and parents this year, but to do that, we’ll need nearly 175 volunteer mentors. Can you help? 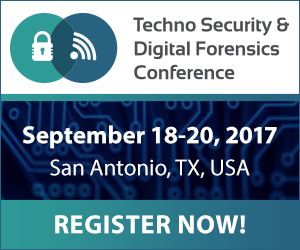 Join the industry on September 18-20, 2017 for the Techno Security & Digital Forensics Conference which will be held at the Hyatt Regency, San Antonio. This location will expand the brand whose flagship event has taken place in Myrtle Beach, South Carolina for the past 19 years. The conference will welcome corporate network security professionals, federal, state and local law enforcement digital forensic specialists, corporate and private forensic examiners and investigators. The 2017 event will feature over 60 seminar sessions, dedicated sponsor product demonstrations and exhibits over the three days of networking among fellow cybersecurity and digital forensics industry professionals. Attendees may earn up to 26 CPE credit hours for attending. The COMEXPOSIUM Group has announced the launch of a second location for the Techno Security & Digital Forensics Conference brand to take place September 18-20, 2017 at the Hyatt Regency in San Antonio, Texas. This location will expand the brand whose flagship event has taken place in Myrtle Beach, South Carolina for the past 18 years. An additional location in Texas for Techno Security & Digital Forensics Conference will allow attendees within the Texas region who are not able to travel to South Carolina the ability to attend and gain all the knowledge, networking, etc. that the event provides to the cybersecurity/digital forensics industry. This expansion will also benefit sponsors of the event by bringing them together with new prospective customers that they would not meet in Myrtle Beach. The goal of the brand expansion is not to dilute the already successful Myrtle Beach event, but to allow for the ability to reach additional attendees that do not have the means, time or budget to travel to the East Coast. Cybersecurity and digital forensics is a growing field with an ever-increasing need for more training, education and access to suppliers in all regions. Ready to enter the field of CYBER SECURITY? Open Cloud Academy, in partnership with Project Quest, will offer a Cyber Security boot-camp styled program for qualified candidates. Ideal program candidates should have an IT or IT support background. The goal of this program is to provide an opportunity for qualified individuals to become Cyber Security specialists with the basic knowledge, certifications and hands-on exposure to support the San Antonio commercial and defense Cyber Security industry. The San Antonio IT Symposium and San Antonio Women in Technology are inviting students to attend the San Antonio IT Symposium. To see more information about the symposium, students can go to: https://www.sanantonioitsymposium.com/. This is a great opportunity for students to network with CIOs and other decision makers within the San Antonio Business community as well as hear some great speakers. There is no charge if they use the following code to register:http://www.sanantonioitsymposium.com?promo=SAWIT2017. The event is going to be held on October 19. The 2018 CyberTexas Conference will bring members of the CyberUSA community together with industry and government members of Texas to create long-term values for the cybersecurity ecosystem in San Antonio and the state of Texas. This conference is brought to you by the CyberTexas Foundation and the Federal Business Council (FBC), in conjunction with CyberUSA, and leaders from federal and local government agencies, industry, and academia. Key features of this conference include building on the four pillars of CyberUSA: Communication, Education, Innovation, and Workforce Development. Each topic will feature prominent speakers and panels from Texas and beyond to strengthen the cybersecurity ecosystem. Luncheon Program begins at 11:30.